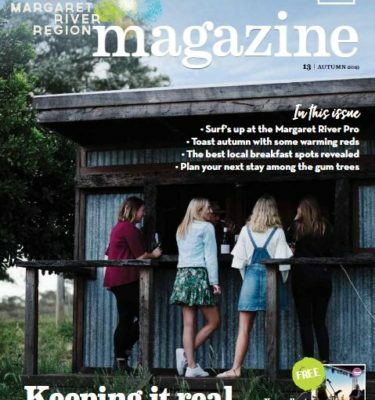 Each year, the Margaret River Tourism Busselton Association produces over 280,000 copies of Your Margaret River Region touring map, and 120,000 copies of the Your Margaret River Region quarterly magazine to help encourage visitor dispersal throughout the region. 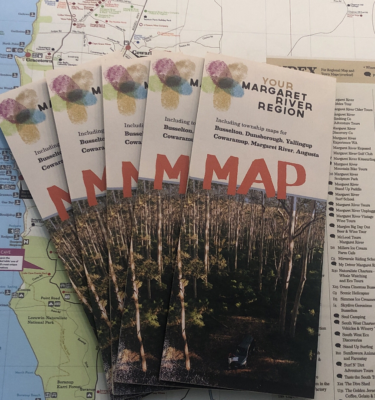 Maps and magazines will be primarily distributed as a FREE visitor resource from each of the region’s four accredited visitor centres in Busselton, Dunsborough, Margaret River and Augusta and available to download online via margaretriver.com. Many member businesses like to host and display map and magazines for guests at their place of business or venue as an added service to their guests. Due to increasing demand, as well as limited storage capacity, the association has introduced a new convenient pre-order and pick up notification system for members to access additional stock for use in their business. Simply place your order via your member account cart and the MRBTA team will contact you via email when your order is available for pick up from your closest visitor centre. Please allow up to 5 working days for your order to be ready for collection. Why is there a new process for accessing bulk map stock? The MRBTA is taking expressions of interest from members around the possibility of designing point of sale material to promote the Margaret River region official app. If you are interested in being a distribution point for material, let us know below!